Leslie's first job as an English teacher was in Tokyo, Japan - a job that lasted 15 years. She later moved to the UK to study for her teaching diploma (DELTA) in London and joined the staff at International House as a full-time teacher and, later on, a CELTA trainer. 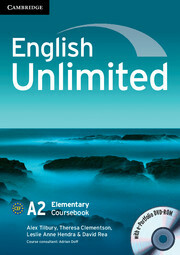 After four years, she started writing full-time as co-author of English Unlimited. She is particularly interested in intercultural awareness, speaking strategies and task-based learning. 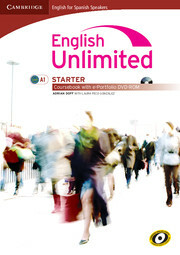 English Unlimited for Spanish Speakers is a six-level goals-based course for Spanish-speaking adult learners. 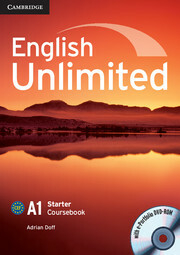 Centred on real-life objectives, it prepares learners to use English independently and confidently for global communication.